Our Clif Family tasting room is a unique place where the passions of cycling, wine and food are celebrated and blended. Here you can taste our Clif Family Wines, enjoy food and wine pairing experiences, grab an espresso drink, or saddle-up for a wine country cycling adventure. Reservations are required for all groups of six or more guests. To make an appointment call 707.968.0625 or reserve online. Celebrate the month of chocolate while exploring the nuances of pairing chocolate and wine. Throughout February, Clif Family will offer our The Perfect Pairing, Wine and Chocolate Tasting Experience. Be decadent and enjoy luxurious flavors paired with small-production Napa Valley wines. A not to be missed experience which features our NEW and highly sought after 2018 Rose of Grenache and 2016 Petite Sirah. Available daily between 10AM and 4PM, $30 per tasting. The King of the Mountain experience features a selection of our Howell Mountain Estate wines presented with thoughtful and curated pairings. Explore the flavors of the acclaimed Howell Mountain appellation through our small-production wines which you can find only at our Tasting Room, through our Wine Clubs and select Napa Valley restaurants. Learn how red wines pair with both savory and sweet flavors on your plate. Gather with your friends & family at the table for the complete Clif Family Experience. Your host for the day will lead you through flavorful food and wine pairings featuring some seasonal offerings from our Farm and the Clif Family Napa Valley product line alongside a flight of white and red wines. Enjoy an ingredient-driven lunch prepared by the Clif Family Food Truck. Your farm-to-table meal will include starters, salads, bruschetta and sweets to finish. Rise and Shine with Clif Family. 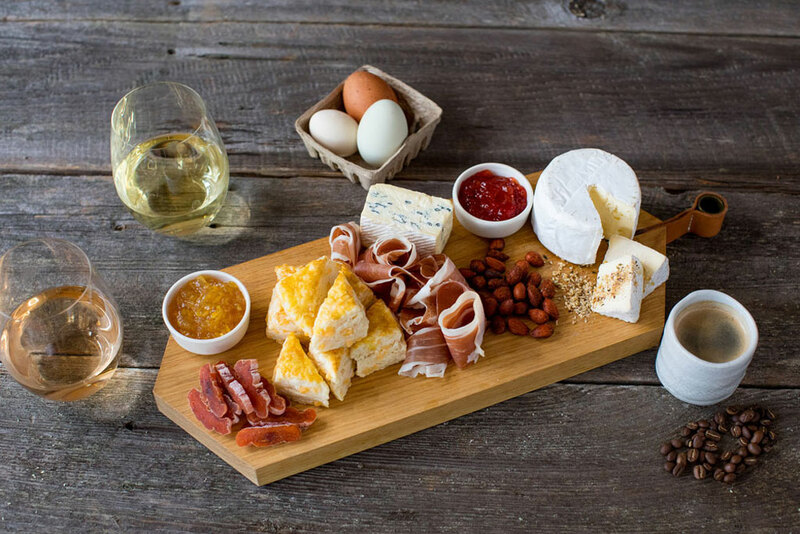 Begin your day in Wine Country with tasty bites inspired by the Clif Family Kitchen and Farm enjoyed alongside a line-up of our wines. End your tasting with a hand-crafted espresso to finish. Kick off your Napa Valley cycling adventure with Clif Family! Begin your journey with an espresso and a Clif Bar. Then take a tour through the picturesque country roads of St. Helena enjoying a food and wine experience at our tasting bar, afterwards. We are open six days a week Tuesday to Sunday 11:30 a.m. – 4 p.m.
To place an order to-go, please call 707.301.7188. We request 24 hours notice for to-go orders for 10 or more people. Fueled by seasonal ingredients from the certified organic Clif Family Farm and trusted local purveyors, the Clif Family Bruschetteria serves a unique and ever-changing menu of bruschette, porchetta, rotisserie chicken, farm fresh salads and seasonal sides. Executive Chef John McConnell has taken a farm-forward approach to Northern Italian cuisine. The focus of Chef John’s cuisine is sharing the beauty of the changing seasons and the bounty from the Clif Family Farm with you via the Bruschetteria Food Truck. The Clif Family Bruschetteria serves a seasonal menu of bruschetta, farm fresh salads, seasonal side dishes and rotisserie chicken. One of our signature dish is a succulent porchetta bruschetta – sustainably farmed at Long & Bailey Farms in Manteca, California and stuffed with organic fennel and herbs from the farm, it is the staff favorite. 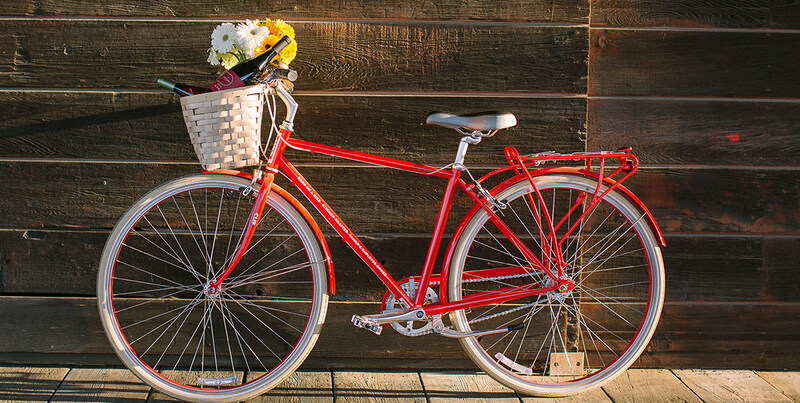 Saddle-up and enjoy the Napa Valley on two wheels via our bike packages from the Calistoga Bike Shop.